With eight kids in the house, having a budget is 100% necessary. Between summer vacation, camps, activities, food, school supplies, family outings and more, life can get pretty expensive. Managing our finances has been one of the hardest struggles after adding on seven kids in five years. (That and laundry!) Thankfully I’ve found some things that work, and store coupons are one of those things. I am not great about cutting out coupons for single items. I honestly don’t have time for that. What I DO love is store/site coupons. Every time I shop online or in a store, I search for a coupon code to discount my purchase. I’m not always successful, but finding one is like striking gold! That’s why I’m excited about something I’ve just discovered. Groupon just launched a new feature called Groupon Coupons, and they have partnered with more than 9,000 national retailers who want to be part of this new venture. It’s perfect for families big and small trying to save some money. I love to search for Travelocity and Hertz Groupon Coupons when I travel. With back-to-school shopping just around the corner, I have the feeling I’ll end up scouring the site for JCPenney coupons. And Barnes & Noble is a favorite for any reader, writer, or book enthusiast! 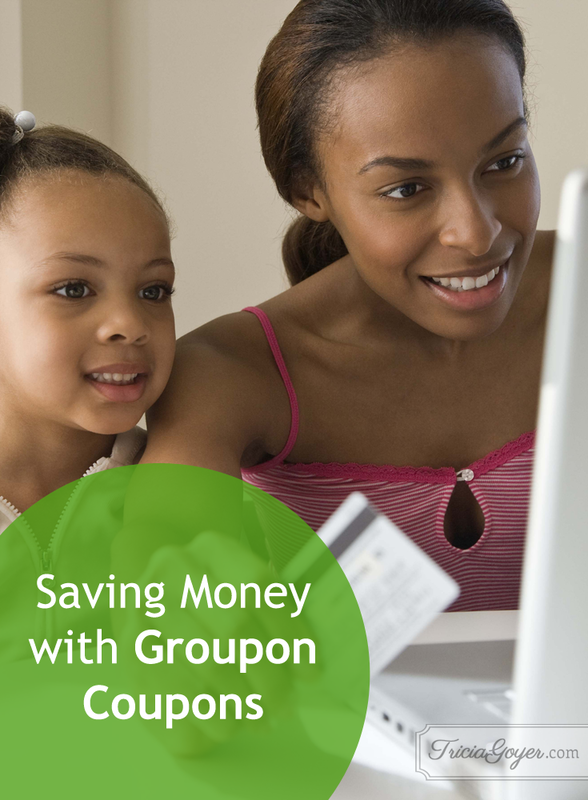 The Groupon Coupons site is completely free for consumers. You can get exclusive discount promo codes and coupons for major retailers such as Macy’s, Travelocity, ULTA, Office Depot, Foot Locker, Boost Mobile, and thousands more. Give Groupon Coupons a try and let me know what great coupons you find to use. Cash in on summer savings with @Groupon Coupon and @Tricia Goyer! *Thanks to Groupon Coupons for sponsoring this post, and thank you for supporting all Tricia Goyer collaborations.